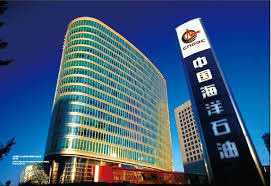 CNOOC Limited says that Caofeidian 6-4 oil structure in Bohai discovered in 2014 was appraised successfully and confirmed to be a mid-sized oilfield. The Caofeidian 6-4 structure is located in the western part of Shijutuo Uplift in the west of Bohai with an average water depth of about 20 meters. The discovery well Caofeidian 6-4-1 was drilled and completed at a depth of about 3,100 meters and encountered oil pay zones with a total thickness of about 180 meters. The well produces light crude oil and production was tested around 5,750 barrels per day. Caofeidian 6-4-1 has set three records in the west of Bohai exploration area in achieving maximum cumulative thickness and maximum single pay thickness of oil pay zones, as well as highest test production in Paleogene clastic rocks. The successful appraisal of Caofeidian 6-4 structure not only represents a significant breakthrough after several years of exploration in the west of Bohai, but also provides important guidance in oil and gas exploration in similar areas. In addition, it also helps ensure reserves and production growth in Bohai.